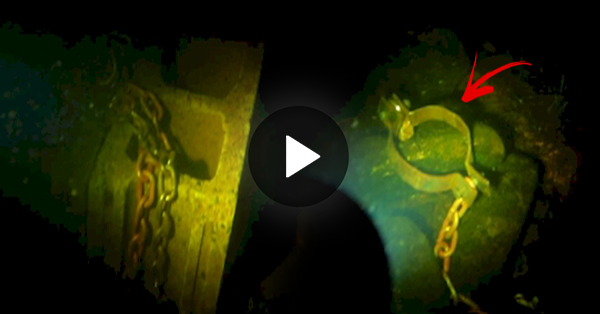 WATCH: A Diver’s Encounter a Terrifying Experience Underwater! Bodies of water are mysterious creations that offer a lot of wonderful experiences. Experts say that human beings just explored 5% of it and many are yet to be discovered. Mariana Trench is the deepest part of the ocean in the whole Earth. It is about 2,550 kilometers long, but has an average width of only 69 kilometers. It reaches a maximum-known depth of 10,994 m or 6.831 mi, although some unrepeated measurements place the deepest portion of 11,030 meters (36,190 ft). Can you imagine what lies underneath the trench? As people continue to discover the darkest bed of the ocean, a lot of ambiguous ideas are being clarified. A few days ago, new algae species are being discovered in the deepest waters of Hawaii. They were found 200-400 feet below sea level. Amazing, right? Wait, there’s more. Watch the video below and you will see the complete experience that this diver will never forget. Brace yourself before hitting the play button. Shocks. How do those things got from there?